Located in Tamp on Florida’s Gulf Coast, Innisbrook Golf & Spa Resort features low-rise accommodation lodges set amongst 900 wooded acres, thoughtfully arranged in small clusters that blend into the natural setting. With four championship golf courses, a full service spa and fitness centre, some great dining on-site and many other facilities including 11 tennis courts, 6 pools, miles of walking and cycling trails and a 60 acre lake for fishing. 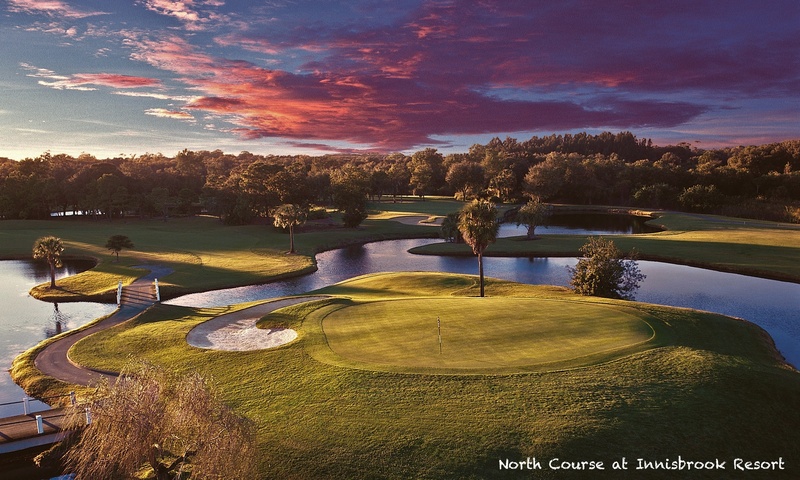 Our Tampa golf resort is home to four outstanding layouts – all designed by the innovative and imaginative architect Lawrence Packard – including the top-rated Copperhead course, which welcomes the world’s finest players each March when the PGA TOUR visits Innisbrook for the Valspar Championship. 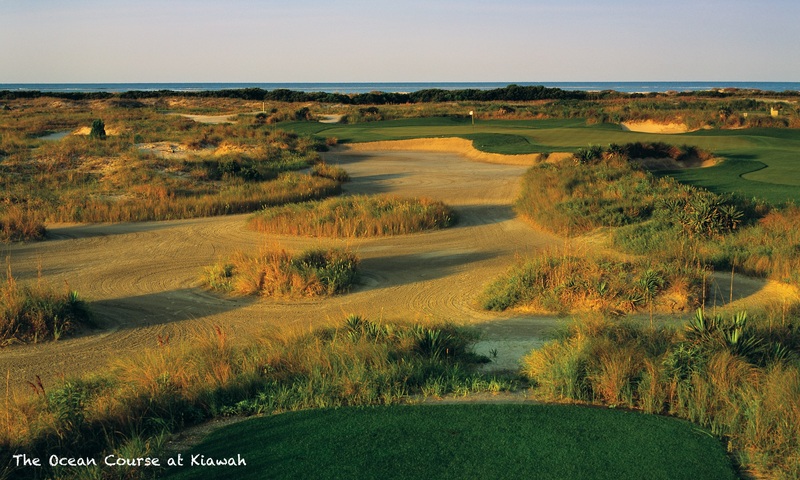 Pine tree-lined fairways and rolling terrain define the Copperhead Course. It is a lengthy challenge for even the longest hitters at more than 7,200 yards. The North Course at Innisbrook is similar in terrain to the Copperhead Course. At about 6,000 yards, known for its daunting par 3s, the North features tight fairways, an abundance of trees, water hazards on 11 holes and well-bunkered greens, placing a premium on accuracy from tee to green. At over 6,600 yards, The South Course is reminiscent of a links-style design, both in terms of rolling terrain and numerous fairway bunkering. Ample waste bunkers, a total of 10 water hazards, undulating terrain, and the Gulf of Mexico breezes all combine to make South another great Innisbrook challenge that’s become a favorite of our returning guests and event planners. The 750 square foot Executive Suites feature either one king or two queen beds, a private bathroom, a comfortable living area, a kitchenette plus a private balcony or patio. There are also 1 Bedroom Villas provide nearly 1,000 square feet of living space, including a separate bedroom, bathroom and living area. They feature either two twin beds, one king bed or one queen bed. The accommodation also features a full kitchen, living and dining area plus a private balcony or patio. For larger groups there are 2 Bedroom Suites offering 1,200 square feet of space, including two bedrooms, two full bathrooms, a living room, a dining area, full kitchen and patio or balcony. The Master Bedroom has two queens and affords maximum privacy with its own ensuite bathroom. A second bedroom provides one queen bed or two single beds. All rooms feature Wifi & High Speed Internet Access, Flat Screen TVs, Writing Desk, Complimentary Toiletries, Hypo-allergenic bedding available, iHome Radio Alarms, Laundry and valet same day service, Iron/Ironing Board, In-room dining, Hair Dryer, Non-smoking, Wake-up call service and Air conditioning with individual climate controls. Retreat to Indaba, Innisbrook’s sparkling new 18,000 square-foot spa, salon and fitness centre, to gather your thoughts, be surrounded by nature and enjoy the simple beauty of the surroundings. Set amid tranquil scenery in which nature provides a stunning backdrop, our spa features a meditation labyrinth, relaxation courtyard and treatment terraces, a plunge pool and steam rooms. Packard’s Steakhouse serves traditional American cuisine offering a comfortable setting overlooking the signature Copperhead Golf Course. Breakfast and lunch options available. Market Salamander offers wholesome, chef-prepared and specialty foods and custom picnic baskets to take out. In addition, you can dine in at the Market Salamander Grille offers health-conscious recipes, traditional Seasonal American Cuisine and a variety of choices for all our guests. golf course views, and live weekend entertainment. Turnberry Pub is a casual dining experience for everyone overlooking the scenic Island course. The Pub also features a window snack bar accessible from the course. The Grill at Loch Ness allows guests to relax poolside or dine at the indoor/ outdoor tables. The award-winning tennis facility located in Palm Harbor, Florida offers 11 Har-Tru courts, with seven lighted for night play, in addition to three racquet ball courts. Innisbrook Tennis has a rich history in world renowned tennis instruction as well as tournaments and programs. As a guest, you’ll enjoy daily court time, access to our full-service Pro Shop and top-ranked instruction with professional certified instructors. Our tennis activities are for all levels of play, with a wide range of clinics, drills and socials. The largest pool, the Loch Ness Monster Pool, is an overwhelming favourite with kids and families who love the water slides and the scheduled family pool activities and crafts. The five other pools provide quieter areas of respite for relaxation, reading and enjoying the warming Florida sunshine. Tampa is full of excitement and adventure, and Innisbrook is right in the middle of it all! Local attractions include: Historical Greek Village of Tarpon Springs, Fred Howard Park and Beach, Honeymoon Island Beach and State Park, International Plaza, Prime, Outlets Ellenton, Clearwater Beach, Tampa Bay Downs, Florida Aquarium, Florida Orchestra, Tampa Bay Buccaneers, Downtown St. Petersburg, Downtown Tampa, Salvador Dali Museum and Hyde Park.